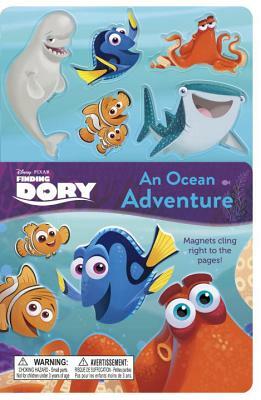 Go on an ocean adventure with your favorite Disney/Pixar Finding Dory characters -- featuring 5 character magnets that stick right to the pages! The animated film reunites the friendly-but-forgetful blue tang fish with her loved ones, and everyone learns a few things about the true meaning of family along the way. Boys and girls ages 3 to 7 will love this super-interactive book featuring 5 sturdy magnets that stick right to the pages.